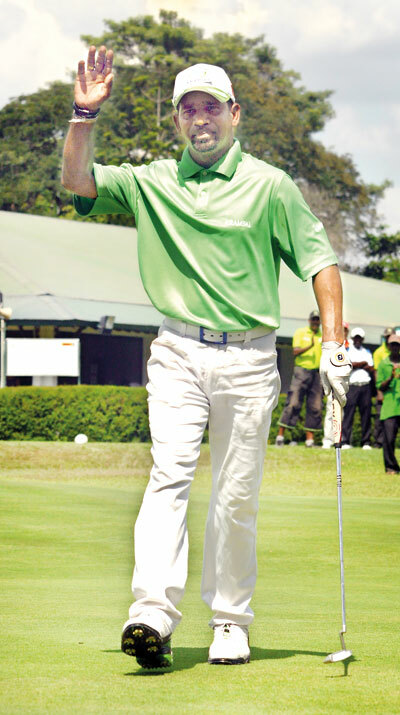 Lankan golfer Anura Rohana — Silver Medalist in Seoul Asian Games 2002, continues to fly the national flag high, now on the Professional Golf Tour of India (PGTI). Anura Rohana won the Pune Open 2017, at the Poona Club Golf Course, a significant event in the PGTI Calendar annually. Anura Rohana lying in joint 6th place after 3 rounds at 4 under par, fired a brilliant last round of 65 (6 under par) to come from behind and win the event by a clear 2 strokes from Khalin Joshi. The overnight leader and multiple winner on the PGTI, Mukesh Kumar the leader after round 3, was over hauled by Anura Rohana to clinch his second PGTI win , since winning the BLIT Open at Delhi Golf Club in 2015. Anura Rohana climbed the Rolex PGTI rankings too with the win, to be ranked # 4, at present. The consistency of Anura Rohana on the PGTI, has largely gone unnoticed, but the recent signing up of Anura Rohana by SoftLogic Life as the Travel and Tour sponsor, has apparently motivated Anura Rohana to clinch Victory in a very competitive Professional Golf Tour of India. Standard of Indian Pro Golf ranks among the best in the South Asian Region and for a foreigner to win on Indian soil is anyway a challenge with the home advantage stacked in favour of the local golfers. Is FFSL deep in the quagmire? Why shouldn’t Volleyball be the National Sport?